Would you like a new patio? If you have answered yes, get in touch with the professionals at Bamboo Landscapes today. Our team has many years of experience and possess the skills required to transform your property with the best patio designs Poole has seen. When it comes time to create your new patio, enlist the specialists at Bamboo Landscapes, and you shall receive fabulous Poole patio designs. These will make a fantastic addition to any property bringing with them a touch of class and sophistication. If you are concerned about the cost, let us put your worries to rest. Once we have finished creating your unique design, we will provide you with a free quote that outlines the full cost. Our prices are the most competitive around with zero hidden fees and no obligation to commit. Should you be happy, our patio designs Poole team will set about supplying you with a full installation. We start by excavating the area taking care to remove any spoilage. After which, our team will prepare the foundation before skilfully laying your new Poole patio. Our designs incorporate the finest materials to ensure a product that will be both attractive and long-lasting. Should you encounter any issues with your patio, simply get in touch, and a member of our team will be around as quickly as possible to put everything right. For the finest quality delivered by Poole’s leading patio design specialists, there is only one name that you need to remember – Bamboo Landscapes. Our team have worked tirelessly to establish a reputation for delivering exceptional workmanship. 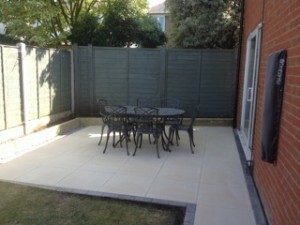 Such is our commitment to our customers that we are widely regarded as the definitive supplier of patio designs in Poole. We consider it a matter of pride in supplying products that will stand the test of time. It is for this reason that we are particularly careful as to who we source our materials from. Our company trades largely on its reputation, and we regularly receive work courtesy of customer recommendations. 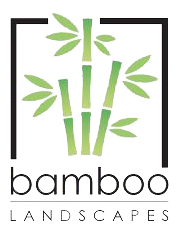 For the finest patio designs Poole has experienced, get in contact with Bamboo Landscapes today on 01202 805 882.